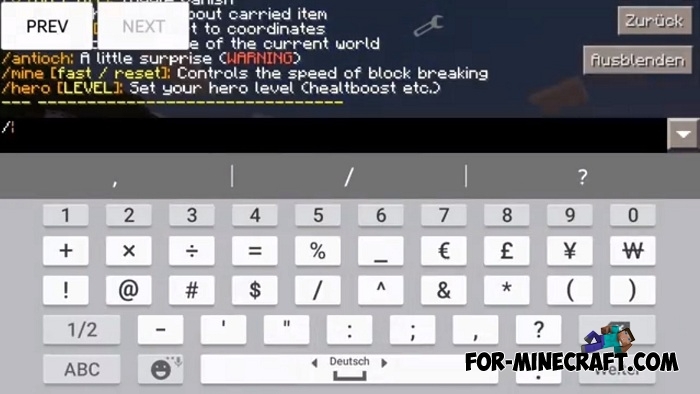 Most likely you are looking for a modification allowing you to use more commands in Minecraft Bedrock Edition or if you are still playing Pocket Edition (obsolete versions, 1.0 e.g) and you need new features. 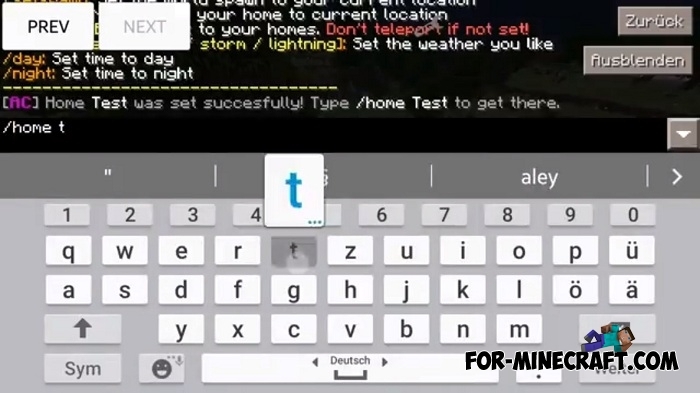 Alex's Commands are almost 40 text commands responding to completely different needs. For example, typing slowmo you can slow down the time in the survival mode, but this is by no means the most interesting function. 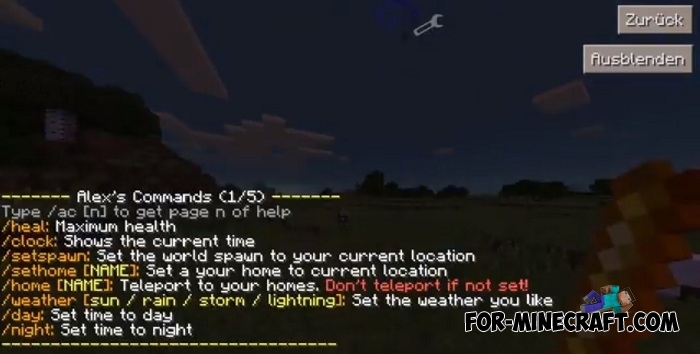 To make survival easier, Alex's Commands mod allows you to use any commands without even including this function in the world settings or using the creative mode. Type /help to display the entire list of commands. Each command has a description and is highlighted. There is also a command list which is in the archive. Flexibility and simplicity are the criteria of this mod that all players like so much. Change day and night, activate fly or remover mode to delete any blocks, all functions work in all game modes. How to install Alex's Commands?